Are you ready for five weeks of supercharged casino entertainment? The Winter Games are about to kick off at Casumo, and throughout December you can compete in boosted Reel Races, take down a jackpot, or win a huge cash prize in one of the many prize draws! As you can see, there is a whole lot of fun waiting at Casumo this December. Make sure to keep an eye on your inbox and over at Casumo to get more information about each individual offer! 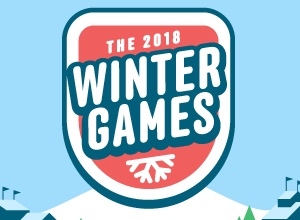 JOIN THE WINTER GAMES AT CASUMO! You don’t have to wait for the Winter Games to start before getting some extra excitement at Casumo, as new special Reel Races kick off every day. This week you can play Astro Legends from Foxium and Rainbow Jackpots for a chance of winning up to €2,000 in cash. The highlight of the week, however, is a Reel Race on Quickspin’s Ivan and the Immortal King this Sunday. The race begins at 20:00 CET, and the lucky winner will leave the tournament with an amazing prize of €5,000 in cash! You can follow the upcoming Reel Races and learn more about how they work over at Casumo.